Italy has confirmed that it plans to send 200 paratroopers to guard an Italian military hospital to be set up near Misrata airport. Italian foreign minister Paolo Gentiloni said today that the fully-equipped field hospital with a hundred doctors, nurses and technicians was being sent at the request of the Presidency Council. It is unclear what deal was reached with the PC over the presence of the Italian soldiers. Gentiloni told Reuters that the details of the “technical aspects” of the deployment would be explained to parliament in Rome tomorrow by defence minister Roberta Pinotti. 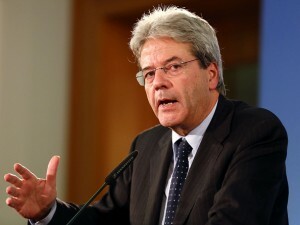 Explained Gentiloni “As a government we have met a request from the UN-backed government in Tripoli to send a military hospital, which obviously will have its protection”. He said that the location would have to be safe but not too far from the battle zone. He gave no details of when the medical personnel and their protection force would arrive. It might be argued that the appearance of the hospital comes a bit late in the day, given that Bunyan Marsous operations room insists that the Sirte battle against IS terrorists is in its very final phase. However Misrata hospital continues to be under extreme pressure, even though the most seriously injured fighters are being flown out regularly to Italy as well as other countries, including Tunisia, Morocco and Algeria. With the wounded being treated in its main reception area, which has been converted into a ward, the central hospital is still struggling to cope. Ten days ago there were demonstrations outside in which staff and locals demanded that more help be provided for the hard-pressed staff and facilities. Approaching 3,000 fighters have been wounded and more than 520 killed since the assault on IS began in May.